When it comes to natural remedies, are eyes are always invariably drawn to bright, colorful, living things to solve our health problems. Fresh green herbs, colorful spices, vibrant fruits and rich vegetables — they’re all things which grow. But have you ever thought about where they’re getting all those nutrients? How do the herbs concentrate such amazing concoctions of antioxidants, or the fruit such a wide range of vitamins and minerals? The answer is: from the ground. The fact is that some of the most powerful natural remedies on the planet come directly from the earth. And if you use them correctly, they can work wonders for your health. By the sound of the name, diatomaceous earth is something taken straight out of a science fiction film. In reality, diatomaceous earth is more like a History Channel documentary than anything else! Put simply, this compound is a natural product comprised of the fossilized remains of tiny, aquatic organisms called diatoms. The most common form of diatomaceous earth is a white powder. This powder contains the remains of millions of these little diatoms. People can use it for a wide range of purposes. The high natural silica content of diatomaceous earth makes it an excellent natural remedy for maintaining healthy tendons, cartilage, blood vessels and bones. Much of the silica that we used to get in our ancestral diets has been depleted due to conventional farming methods. This means that we need to supplement our silica consumption in order to stay on top of things. Diatomaceous earth is one such way to do so. 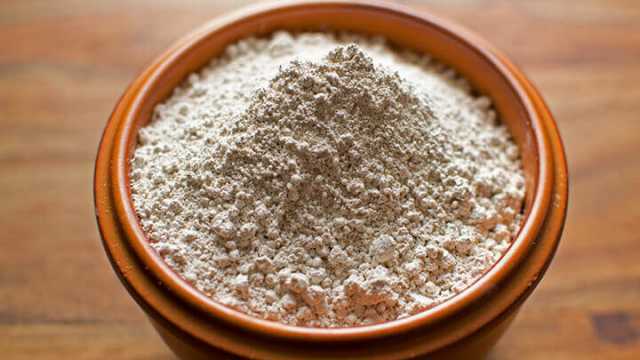 Another popular health-related use for diatomaceous earth is as an anti-parasitic. Diatomaceous earth has long been used as a means of protecting fruit and other produce from insect damage. People also use it as a way to enhance the storage life of grains and other consumables by preventing pest damage. It wasn’t until recently, however, that people began to realize that this same horticulture-based benefit could also be applied to the human body. Anecdotal evidence has shown that consuming food-grade diatomaceous earth may be an effective way to combat parasites within your own body. The molecular structure of the diatoms damages and kill worms, nematodes and other unwanted visitors which have taken up residence within your body. Not only that, it’s non-toxic. It also doesn’t destroy your good gut bacteria, like antibiotics do. Finally, diatomaceous earth is a powerful detoxifying agent. As this article shows, diatomaceous earth is an effective way to extract pesticide residues from foods. The same method by which it does this can be applied to your own body. In other words, it’s a great way to absorb and remove heavy metals, chemicals and other toxins from your body. Most of us have at least one box of baking soda stashed somewhere around the house. Most likely you’ve got some in the cupboard for baking purposes. Perhaps there’s another in the fridge to absorb any odors. Both very good uses for baking soda, but there’s a third, lesser known, use for baking soda: your health. 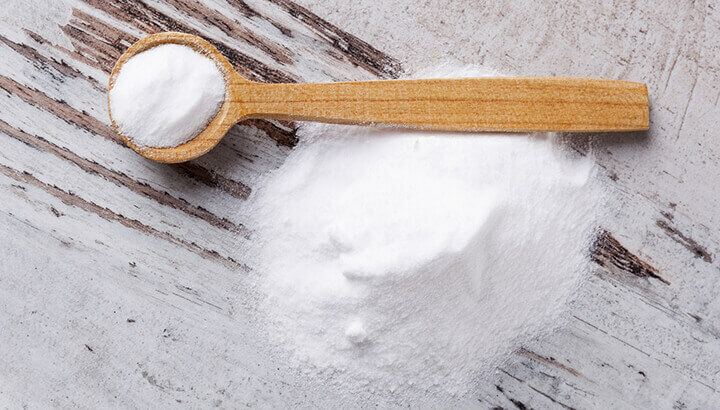 Baking soda is another great natural remedy that works well against a range of ailments and everyday health issues. For starters, it makes an excellent natural deodorant, simply by being mixed with a little water and rubbed into your armpits. This way, you can keep your pits odor-free without adding harmful toxins and aluminum found in conventional antiperspirant deodorants. Next, that same paste you whipped up to put in your armpits can also be applied to bug bites and stings to relieve itching and soothe irritation. Baking soda’s natural toxin-neutralizing effect can also be put to good use if you ever have the misfortune to run into poison ivy. Another of baking soda’s great medicinal uses is for the treatment of heartburn and other digestive issues. Rather than popping expensive, often harmful over-the-counter antacids every time you have heartburn, try simply dissolving half a teaspoon of baking soda in half a glass of water. Drinking this will have exactly the same stomach acid regulating effect as those store-bought antacids. It will also help to soothe your digestive system and lower peptic ulcer pain. Not bad for something you thought was only good for soaking up odors and making your muffins rise! Himalayan pink salt is arguably the Rolls Royce of the salt world. Conventional table salt has been so refined and processed from its original form as to be unhealthy to our bodies. Himalayan pink salt, on the other hand, is a masterful natural remedy that really works. It is mined from ancient sea beds, meaning it is untainted by the toxins which pollute our modern-day oceans. Himalayan pink salt contains an impressive 84 trace minerals, making it an amazing source of nutrients and a great way to restore balance within your body. Unlike regular table salt, the wide range of nutrients in Himalayan salt mean it is actually able to promote healthy blood pressure. The multitude of essential minerals found in Himalayan salt means your body is more able to process this salt when you consume it. It also has less of an issue with sodium overload. This means that Himalayan salt can actually help your body to maintain a healthy blood pressure. Or, in some instances, it can even lower elevated blood pressure. The health benefits of Himalayan salt don’t stop there. Sprinkling a little of this salt on every meal has been found to aid your digestive system. Once again, this is due to the wide range of trace minerals in Himalayan salt. This enables your gastrointestinal system to more efficiently break down the nutrients in the food you eat. You’ll not only gain more benefits from your food, you’ll also need to eat less as you are absorbing more nutrients from every mouthful. It also helps that Himalayan salt makes meals taste pretty darn amazing, right? Like Himalayan pink salt, high-quality magnesium supplements come from ancient seabeds that are high in trace minerals and nutrients, while low in toxins. I believe that a well-rounded, whole food diet should provide the majority of the nutrition in our lives. Still, there are times when our modern food chain simply doesn’t provide all of the necessary nutrients we need to thrive. Magnesium is one such nutrient. And for this reason, many people consider it to be a powerful natural remedy when used wisely. You need only to skim through the scientific literature to see that magnesium is considered a big deal in the medical community. This study showed that magnesium supplementation lowered blood pressure in patients suffering from hypertension. Another two-year study found that giving magnesium to menopausal women positively affected their bone health. It helped to prevent fractures and significantly increase bone density. Clearly, you want to be getting plenty of magnesium on a regular basis. And due to the fact that most foods contain insufficient concentrations of this essential mineral, you should consider seeking out a high-quality magnesium supplement. That’s right, even plain old mud can provide an excellent natural remedy for many different health problems! Spa treatments the world over have capitalized on the purported health benefits of mud. Spas offer mud baths, mud face masks and mud packs to help relieve a range of ailments. According to anecdotal evidence, mud therapy relaxes knotted muscles and improves blood circulation, regulates and even improves metabolism, lowers inflammation and swelling in joints and muscles, moisturizes the skin and conditions the hair. While the scientific evidence behind this natural earth-based therapy is notably lacking, many people swear by it. Perhaps it’s worth getting dirty for just one afternoon to see whether you can reap the health rewards? Copper has seen a great revival within the alternative health community over the past two decades. As you stroll around town or through the park, look out for signs of its growing popularity. Kids and adults may be sporting copper bracelets. Certain people drink out of copper cups or string their water in copper containers. And while it may seem like many of these things are simply a health fad, Ayurvedic medicine has laid great faith in the healing powers of copper for thousands of years. Whether you eat foods which contain high concentrations of copper, wear copper bracelets and necklaces, or simply choose to leave your water in a copper jug overnight, the benefits of copper are many. Experts say copper promotes better digestion, aids in weight loss, speeds healing and slows the process of aging. It also maintains cardiovascular health and lowers blood pressure, kills bacteria and even fights cancer. Beyond the speculation, there’s no doubt that you need a certain amount of copper in your diet for your body to function as it should. So eat plenty of high-copper foods, such as sesame seeds, cashews, walnuts, sunflower seeds and oysters. It’s a great way to ensure you’re getting enough of this natural remedy from the earth. Can you think of any other natural remedies taken straight from the earth? Let us know! Hey Buddy!, I found this information for you: "6 Natural Remedies Taken From The Earth That Work". Here is the website link: https://www.thealternativedaily.com/natural-remedies-that-work/. Thank you.